Adventurous Fast Rivers – Where The Most Important Trip On The River Is Yours! 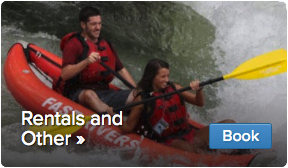 Welcome to Nantahala Rafting with Adventurous Fast Rivers where we are proud to be recommended #1 on Trip Advisor! As the finest company on the Nantahala River, our family owned & operated outfit has been specializing in whitewater rafting adventures for almost 40 years. Putting you #1 since 1979, Adventurous Fast Rivers Rafting continues to welcome you to miles of fun and exciting Class II and III rapids on one of the country’s most popular rivers. 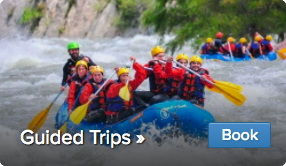 Our goal is to exceed your expectations in all facets of your rafting experience. Our friendly, skilled, and sincere service is second to none and we welcome the opportunity to have you on the river with us. 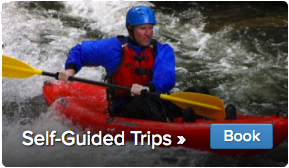 Adventurous Fast Rivers is geared to give you personal and knowledgeable service allowing you a wonderful, memorable trip down the Nantahala (nan-tuh-hay-luh) River! We thank you for choosing us and look forward to sharing the adventure of whitewater rafting with you! After all, the most important trip down the river is yours! We have set aside a spot just for you, whether you’re a rugged whitewater veteran or a beginner enthusiast who has never rafted before. Your river experience can range from a family outing to a high-performance adventure; we offer group discounts, privately guided, guide-assisted or unguided rafting trips, funyaks “duckies”, sit-on-top kayaks, inflatable canoes, lake canoes, river photos, a great T-shirt souvenir shop and much more! For our rafters, a guided Nantahala rafting trip may be your preference and we are pleased to set you up with the best guides on the river. Or if you choose, you may prefer to allow your family or group the excitement of guiding your own rafts. We will stand by our policy to do all we can to help your group understand the “how-to’s” for enjoying the river with a guide or on your own. In the heart of the Nantahala National Forest, the Nantahala River is a family friendly, nationally recognized river of recreation. The most popular in the Southeast, it is one of the oldest rivers in the world and gets its name from an Indian word meaning, “Land of the Noonday Sun”. The Class II-III river is dam-controlled and pulls its water from the bottom of Nantahala Lake. The water has a scheduled daily release from the dam about 15 miles upstream and is pulled from approximately 250 feet in depth. Since the water does not see sunlight until its release, it stays cool year around. The pristine, crystal-clear mountain water then runs its course through the Nantahala River emptying into Fontana Lake. On the area’s most scenic terrain, you will experience over 20 named rapids, including “Patton’s Run”, “Whirlpool”, and “The Bump”. There are plenty of waves to crash through and several calm water opportunities to simply enjoy the natural beauty and wonders of the Nantahala River and the Great Smoky Mountains! OUR STORY & WHAT KEEPS US EXCITED! At Adventurous Fast Rivers, outdoor adventure is our passion and sharing it is our dream. We, Steven & Sue Matz, had a very unique opportunity to get out of “Corporate America” and live in the great outdoors of Western North Carolina! Steven (a seasoned paddler) got an email about a rafting business for sale, called Sue at work and we were here the next weekend checking out Fast Rivers. We knew from the moment we pulled in that this was the life for us — No matter what it took! We went back to the Atlanta area, put our house up for sale, explained that we were not crazy to our family, friends and neighbors, stocked up on canned goods (just in case) and happily turned in our business suits and dresses for cut-off shorts and T-shirts and off we went to begin our new life on the Nantahala River! You see, we met at a summer camp in Hendersonville, North Carolina and the love for this area never left us. So, 25 years later, we find ourselves celebrating our 17th season on the river with our 3 lovable dogs and 2 awesome kids (or some say our greeting committee) and over a dozen seasonal employees who all share our passion and love for the outdoors. We are personally here at our outpost every day to show you that we truly appreciate your business and are committed to providing you with a positive whitewater experience. Our competitive edge is our position on customer service allowing us to continue to build a business that is based on long-standing relationships with satisfied customers. We work hard to ensure your satisfaction and value the trust you put in our company. We are gearing up for another amazing season and are very excited to see all of our friends again. And as always, it is so great to meet many, many new ones. The people are truly what keeps us going and makes our business worthwhile! We absolutely love it & you! Every year, we try to tweak the areas that will aid in our continued growth! This year…we are happy to say that we will be celebrating our 2nd season in our brand new outpost; only a minute’s drive from the put-in!! I guess adding some new boats and funyaks to the fleet will pale in comparison to our new outpost (with hot showers), but we are still proud to say that we have continued to upgrade our fleet. We have also replaced some life jackets, just to keep things fresh! Our family (Landon, Sophie, Sport, Flower, and Zen) are doing wonderful. We are up to 3 dogs again to greet you! As for the non-furry kiddies, we are so enjoying our time with them; watching them grow & learn and challenge us daily. They both enjoy playing soccer and love snow skiing which is fun for us all. Crazy enough, Landon is a middle-schooler and Sophie is not far behind. They will be working at Fast Rivers some this summer and are super excited to help with the family business. It is also a thrill having our customers watch them grow from season to season reminding us to cherish every moment because they go by so fast. So thank you again for all of the reminders because we cannot be told enough to just live in the moment! As always, helping you & your group to have fun is what we are here for. So please contact us with any Nantahala Rafting questions or suggestions. Customer feedback is extremely important to us & greatly appreciated. It is what helps us to continue to be successful in providing you with the best overall experience!